Expectations of iPhone 5 were great but after releasing iPhone 4S the situation has calmed down and users were satisfied. Although imaginations about the dream phone was not unrealistic at all, because it was even designed when it was scrapped. As for now, a new round of iPhone 5 rumors has begun. Some rumors say that iPhone5 will be launched in the fall 2012, similar release season of the iPhone 4S this year. It is said that Apple is planning to use a rubber or plastic metal to be built into the new iPhone case. Most probably this material will be used as a bezel surrounding in front of the phone, just like iPhone 3 GS bezel. 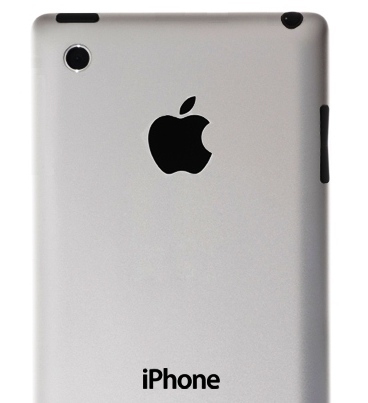 It has to serve two purposes, first is to join the glass iPhone face with a new aluminum back plate; another reason is to cover a redesigned antenna system that surrounds the gadget, allowing the company to build the rear case out of aluminum without using a large plastic insert above the antennas. In a word, according to the rumors, iPhone 5 will be redesigned completely, unlikely to the current iPhone 4S , which features the same iPhone 4 design. As for other characteristics of the gadget, we should wait other rumors before anything is said or done officially.